Nearly 42% of the United States population have myopia. This is a common type of refractive error, meaning that visual disturbances occur because of a disruption in the way normally enters the eye. Because it's so common, our Wichita optometrist team has worked with literally thousands of people from our community struggling with simple activities of daily life secondary to their myopia symptoms. Fortunately, it's a relatively simple condition to treat! Read on to learn more. Interesting research has found that children who spend more time playing outdoors are less likely to be nearsighted; this could be related to the supposition that kids who are outside a lot are likely spending less time reading and doing other tasks that can strain the eyes. Unfortunately, with the widespread use of modern-day technology (including smartphones, tablets, and computers), this may become less of a factor. Here's a quick way to remember myopia: if you're nearsighted, you can see near. This means people with myopia tend to have difficulty seeing things far away (such as the classroom whiteboard or street signs), although they can generally see okay while reading or looking at things close up. Uncorrected nearsightedness may also lead to eye strain, eye fatigue, and headaches. This condition does usually develop in childhood, but it can progress with age, though with proper treatment it can be managed and stabilized well. The main treatments for myopia, much like other types of refractive errors, include prescription eyeglasses or prescription contact lenses, which will redirect the light as it enters your eye in order to appropriately focus on your retinas. Our Wichita optometrist team can take you through a comprehensive eye exam to determine the perfect prescription for you. 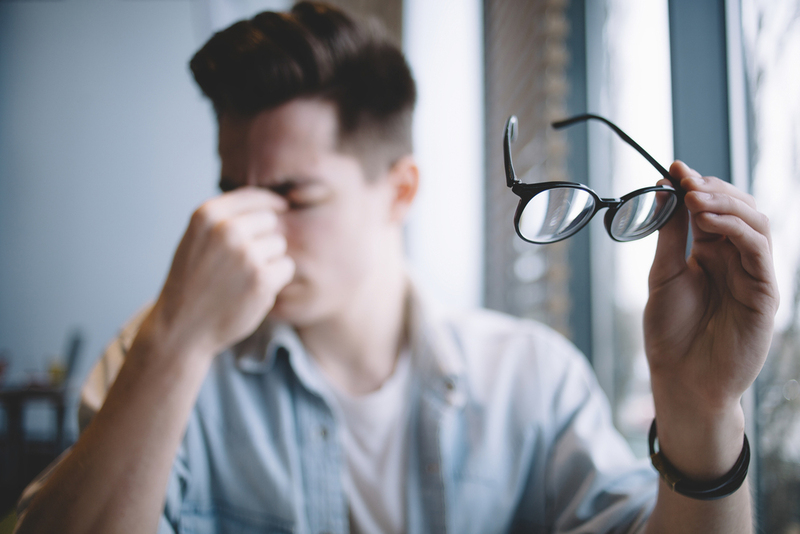 If you struggle with your vision, find yourself squinting to read road signs or see people's faces, or have frequent headaches and eye fatigue, you may have myopia. Contact our team here at Wichita Optometry soon to schedule a comprehensive eye exam. We can make individually tailored prescriptions and recommendations to suit your needs and lifestyle. Call us now at (316) 942-7496.